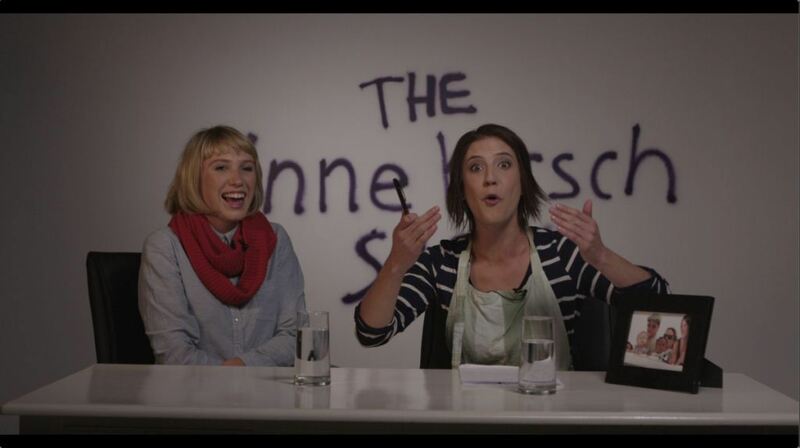 You are about to watch episode 4 of The Anne Hirsch Show and I’m very excited! But before you do, let’s find out a bit more about the number 4: It is the natural number following 3 and preceding 5. 4 is the fourth studio album from Beyonce and 4 is a 2005 Russian drama film directed by Ilya Khrjanovsky after a screenplay by Vladimir Sorokin. There’s the Iphone 4, Fantastic 4, 4×4, Four-and-twenty blackbirds Baked in a pie, 4 seasons, 4 Weddings and a Funeral, 4 leaf clover, 4 poster bed, four calling birds, three french hens, two turtle doves, and a partridge in a pear tree. So now that the four-play’s over (see what I did there? ), enjoy the episode and please spread the word about the show. Also check out our new fancy-pants set! Marc Lottering is one of SA’s funniest comedians and making people laugh for a living really suits him. He’s also got the most fabulous hair we’ve ever encountered and the sofest skin I’ve ever laid my hands on. He joined me in studio to play 30 Seconds and talk about how we could do a show together. Follow him on Twitter @marclottering and check out his amazeballs website that makes sounds and stuff at marclottering.com. Also, while you’re trawling the internet stalking Marc, you might as well pop into zanews.co.za, cause they feature The Anne Hirsch Show there and they’re flippen funny. Hello! It’s great to have you back here again for episode 3 of The Anne Hirsch Show and might I add that you look absolutely fabulous today, love what you’ve done with your hair! You should show it off at other sites like www.zanews.co.za, oh and they also happen to feature The Anne Hirsch Show there, what a coincidence. If you enjoy this episode please tell your friends, enemies, frenemies and even your Facebook friends, they deserve to know. Join us next Wednesday for more right here and wear those shoes again, love them! With sun in their pockets and two SAMA’s for ‘Best Newcomer’ and ‘Best Album’ Locnville aren’t just a couple of fly-by-night drop-dead-gorgeous singer-songwriters, producers, musicians, guitarists, drummers and business entrepreneurs they’re also identical twins. The dynamic duo exist out of Andrew AND Brian Chaplin. There was some confusion around them being twins…I blame technology and the fact that my mother believed that drinking a glass of Guinness Milk Stout a week, while pregnant, would be good for her. Check out their website here and follow them on Twitter @Loncville. 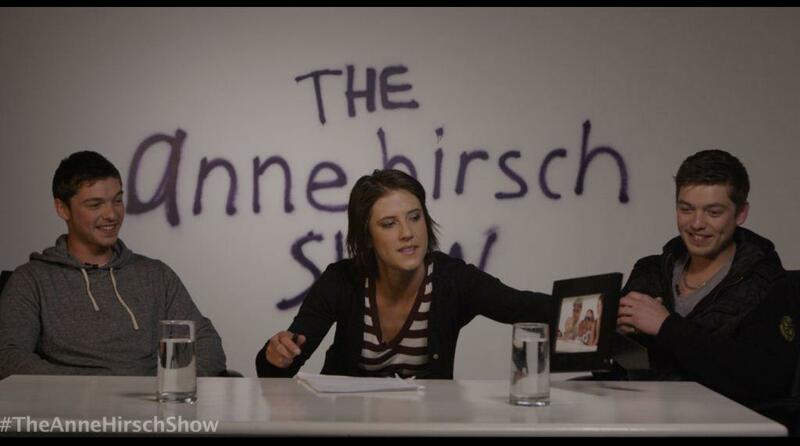 Here is episode 2 of The Anne Hirsch Show and we’re very excited. So far the show has lasted pretty much longer than Kim Kardashian’s marriage and the feedback has been great, we’ve also been included on the new www.zanews.co.za which we’re very proud of. Please let us know all your thoughts (and those on the show) and please don’t pull a Katie Holmes and leave us, we promise to stay away from Scientology and we won’t ruin your acting careers. The Anne Hirsch Show will air weekly right here. Jade de Waal was unfairly voted out of season 1 of MasterChef SA, after making it to the top 9. She is without a doubt one of the friendliest people I’ve ever met and has the most unusual accent I have ever heard and we love unusual! You can catch her ‘Eat Your Heart Out’ cooking videos at www.onedogchicken.com and follow her on Twitter @FoodJams. She joined me in studio for a high pressure invention test and to talk about things that BFF’s talk about, unfortunately there was no time for us to have a pillow fight in our pyjamas…but keeping my fingers crossed for next time. 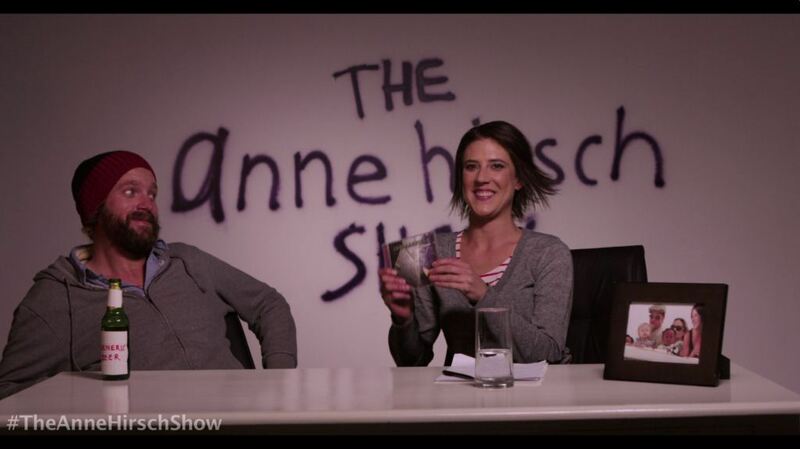 Well here it is, our first episode of ‘The Anne Hirsch Show’. Please let us know your thoughts, who’d you like me to interview next or just some feedback about the weather, I’d love to hear from you. The Anne Hirsch Show will air weekly on Wednesdays right here.